Hello guys! Thanks for stopping by ! I am on the look out for cheaper options of foundation and BB cream I can use on a daily basis. Unfortunately the search is still going on. My facial skin is combination which means I have an oily T-Zone and the rest is dry. What I want is something similar to the Estee Lauder Double wear which does the job perfectly to keep my skin in check and the Vichy Idealia BB cream for everyday use, for total hydration and flawless skin. However I wanted a cheaper alternative just so I can alternate, I had seen some positive reviews on the Rimmel and I thought to give it a go. Rimmel Stay Matte Porcelain- I would love to say this was good, but the real deal is that it was not appropriate at all for me. This foundation enlarged my pores ;after an hour or so my T Zone seemed patchy and flaky. I am very pale but the colour seemed a very white/beige which made me look sick. Unfortunately this was a fail for me. I tried it twice again after, with powder, no powder but it still gave me the same results. I was disappointed as I never had a problem with Rimmel products. 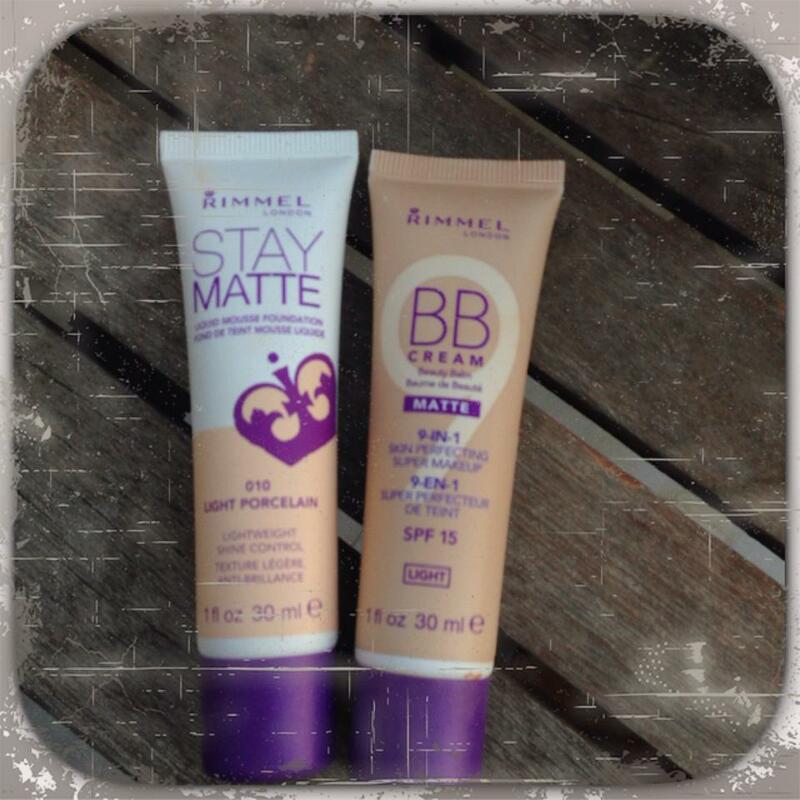 Rimmel BB Cream Light – The consistency looked very good ,creamy with a good colour and when I applied it I was confident that this will be good. Soon after I applied it, it set on top of my skin and after an hour i checked it and it started separating on my T Zone and cheeks. So again was not satisfied with result. Obviously, this was my experience I have seen many people saying that it’s good, but I think for anyone who has combination skin like me this won’t work. Hope you enjoyed this review !